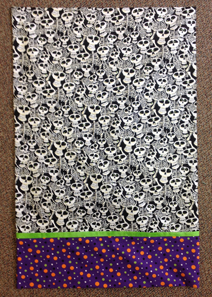 We just launched our newest mystery quilt program and you can sign up to participate anytime. The first clue is ready now and the five remaining clues will be available on the 25th of each month through February 2015 (it's a six-month mystery). 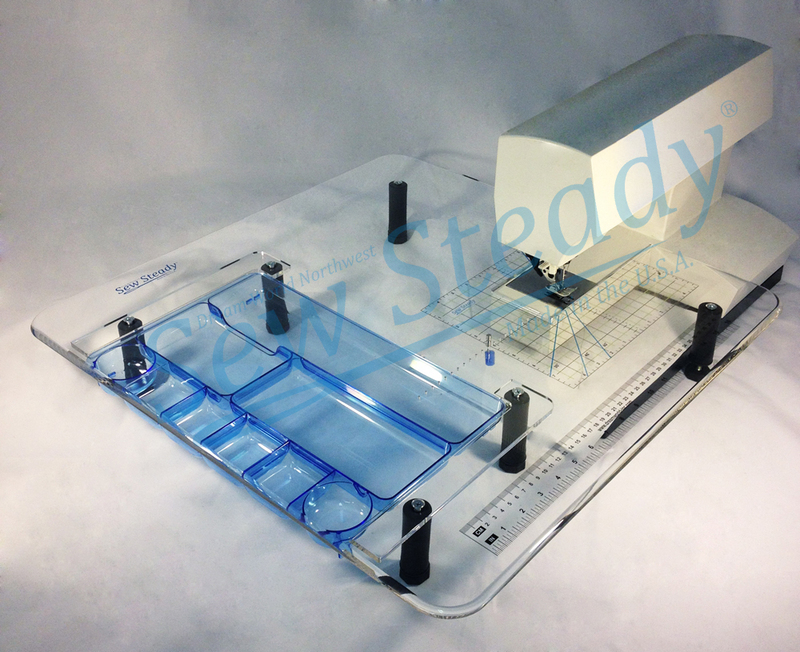 Have you been longing for one of the fabulous Sew Steady tables? Order during October and receive 15% off! Come by the shop to browse through the catalog of available tables. The one shown here is the Quilter's Wish and you can see it in person at the shop. Regular price is $159 but this month it's only $135.15. These tables are custom cut to fit your sewing machine. Ask anyone who has one . . . they're great! Third Thursday Demo – October 16, 12:30 p.m. This beautiful Laurel Burch panel arrived last week and they're going fast. 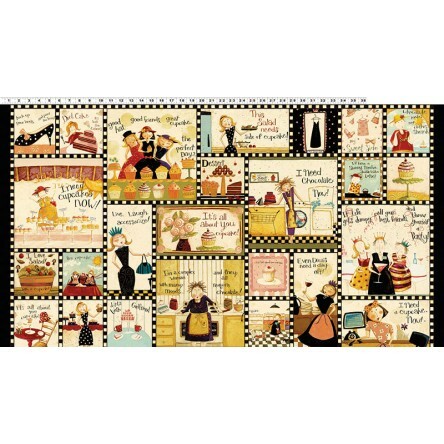 We have three companion fabrics so that you can make this into a couple of wall hangings or pillows. 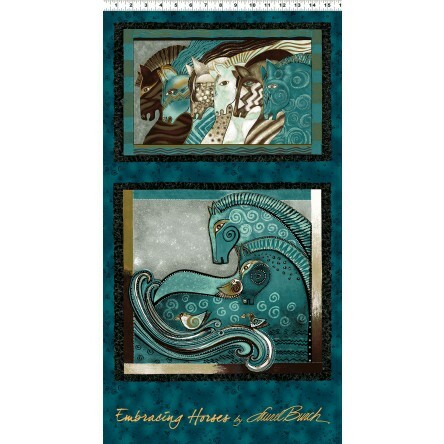 This fairy panel also just arrived along with Michael Miller Fairy Frost companion fabrics. How cute would this be in a little girl's room? And then there is this darling cupcake panel. Some of the sayings on it include, "It's all about you cupcake" and "I love salad with a cupcake." You really have to see this one up close and personal to appreciate it! So you have all of these great panels, now what do you do with them? The new book Panel Play is your answer. It's filled with ideas on how to use panels. This is the most popular book we've had in for at least a year. Get yours today. Make one of these adorable wallets in this afternoon class and you’ll surely want to go home and make more for friends and family members. 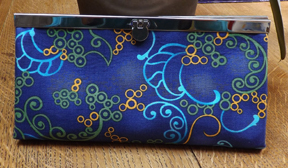 This roomy, practical wallet holds cash, credit cards, and even a check book if you still carry one of those! Judy Bryan will teach this class. Boo! How about making a pillowcase for a little goblin this Halloween? We have these kits made up and ready to sew. The skeletons glow in the dark! Last month our Third Thursday demo was on Electric Quilt software and it was quite well-attended. 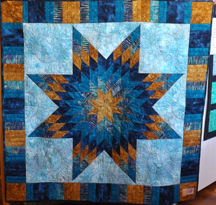 Are you interested in designing your own quilts? If so, and if you have EQ or plan on buying it (yes, we have it in stock! ), and you're interested in a EQ users group, please e-mail karen@cortezquiltcompany. If enough people would like to form a group we'll host it here. 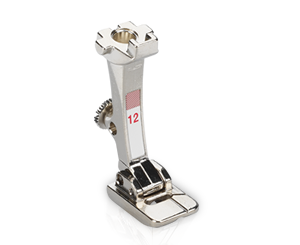 BERNINA presser foot #12 / #12C - the bulky overlock foot - is on sale for 25% off during the month of October. The wide groove in the sole makes this presser foot ideal for sewing bulky knits. Because one side of the sole is deeper than the other, even thick fabrics and uneven fabric layers are fed under it smoothly. In addition, bulky overlock foot # 12 / 12C is a popular foot for making and attaching piping, as well as for couching cords quickly and neatly. Click here for a video demo on this presser foot and call 970-565-7541 or come by Cortez Quilt Company to get yours today! Did you love making the lone star at the retreat last weekend? Well, good news . . . we'll have the QuiltSmart fusible interfacing in stock on the bolt in BOTH sizes within a few days. 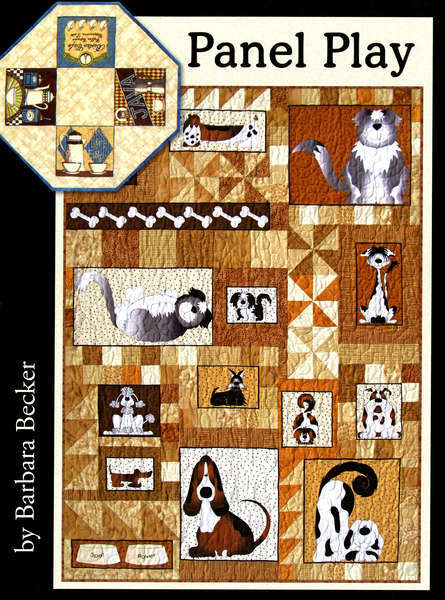 Now that you have the pattern you can simply purchase additional interfacing and make as many of these lovely quilts as you desire. 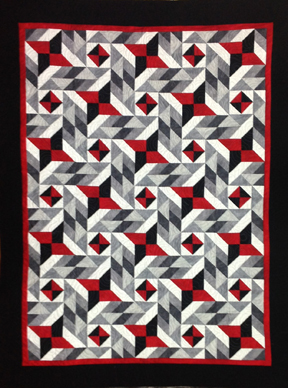 Cortez Quilt Company will have a booth at the San Juan Quilters Guild show on Friday and Saturday, October 10-11. Show hours are 10 a.m. - 5 p.m. both days. Hope to see you there! After a long hiatus due to production challenges, Seam-A-Seam is available once again. 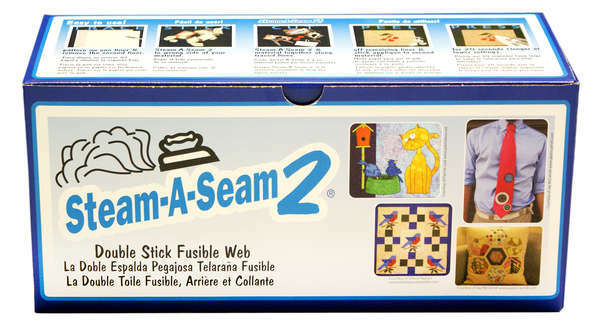 We have Steam-A-Seam and Steam-A-Seam 2 in stock. Call us at 970-565-7541 or stop by to further describe/identify and pick up your lost items.